Juicing is one of the best ways to get your daily dose of vegetables and fruit, and I’ve been using one since I first began my transition to healthier living. 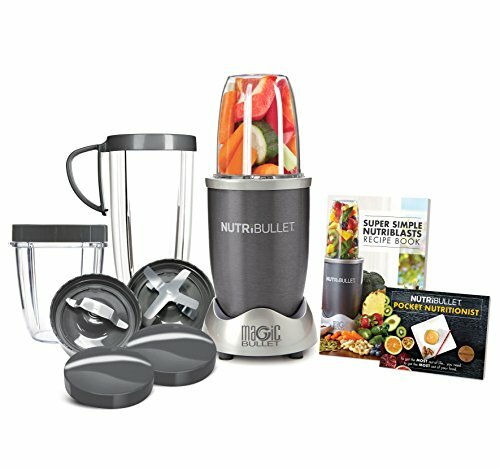 I’ve compiled some of the best blenders for juicing below so that you can make your switch quick and painless. Juicing is an incredibly quick way to load up on the otherwise hard-to-get nutrients that your body needs on a daily basis. By combining some of your favorite sweet fruits with multiple servings of greens, you can eat your spinach and not even think twice about it. If you want to add more fruits and vegetables to your diet, but just don’t have the time or knowledge to incorporate them into your meals, juicing is an excellent way to begin. It allows you to feel the effects of more clean and wholesome foods into your diet without the hassle of making it into a dish. Because juicing has recently become a lot more popular among those seeking a healthy diet change, there are numerous recipe books and even magazines to help you try new recipes. 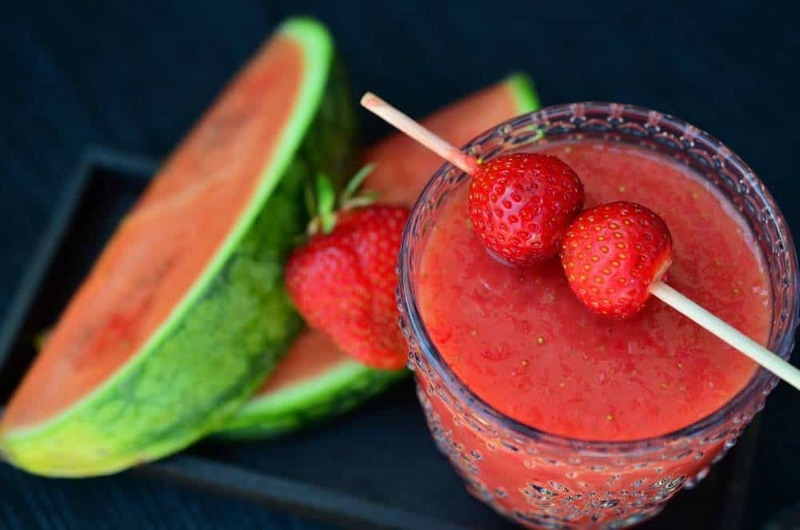 Now, you might be thinking – “But why not just use a juicer?” As I began my research years ago, I discovered that quality juicers are not only expensive, but serve only the purpose of juicing. I decided to invest in a good blender that would not only serve to juice my fruits and vegetables but could make many other things as well. This meant more “bang for my buck,” and I wasn’t strapped with two larger pieces of kitchen equipment to store and take care of. Some things to keep in mind when juicing, though, are that high levels of vitamin K can interfere with some prescription blood thinners. While this doesn’t mean you shouldn’t juice, it does mean you should juice in moderation and with your doctor’s consent. It’s really quite simple. To begin juicing, you prepare your fruits and vegetables but cutting away un-digestible parts (like the core of an apple) and dicing them into sections that your blender can process. It’s important to note that blenders are not the same as juicers. Juicers are made to extract the most amount of juice or liquid from the food, eliminating most of the fiber. Blenders, though, keep the entire part of the vegetable or fruit for consumption. This article describes the process and gives some tips to consider as well. You have two options when preparing juice with a blender. You can keep the pulp and drink a thicker beverage, or you can use a mesh strainer and cheesecloth to enjoy just the fresh juice. These mesh strainers and this cheesecloth are a great place to start, and the same ones that I use today! Once you have prepared your fruits and vegetables, just add them to the blender. If you have a larger amount to blend, this may take multiple turns. It truly doesn’t matter what order you add them. Just toss in the ingredients, and blend away! If you are using your strainers and cheesecloth, be sure to set up in the sink. If you’re anything like me, there might be a little mess as you separate the pulp from the juice. This video is very helpful if you are still struggling trying to visualize what it means to juice with a blender. Some blenders are giant, no-nonsense machines that get the job done fast. Others are small, better adapted for tighter kitchens with limited counter space. Consider how much space you have to set up and store your blender before you choose which one you want. Sometimes the blender you choose is a result of your budget. Be careful, though, that you don’t get less than what you paid for. Reading reviews and paying attention to the quality rating of blenders will help ensure that you don’t buy a 2-Star item for a 5-Star price. All blenders blend, yes, but for how many? 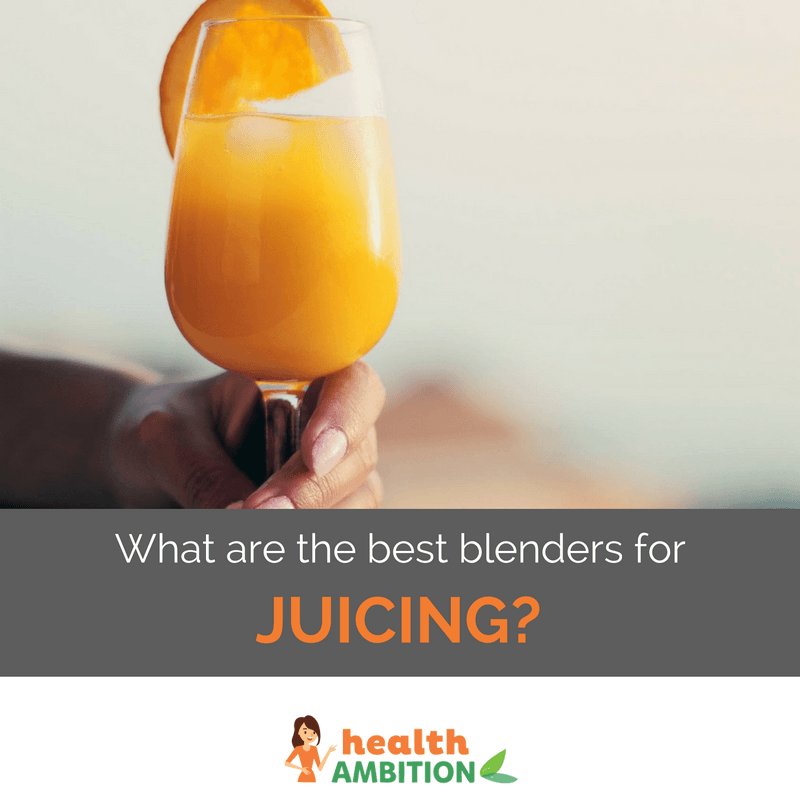 If it will just be you drinking the juice, then look for a blender that holds a smaller amount and can even be taken with you to work or on trips. Larger blenders are great for families or larger groups, but may be too much for small numbers. Cleaning your blender after each use will help keep it around for years to come. Some blenders, however, are more sturdy and have better warranties than others, and you should take note of companies that stand by their product and guarantee returns or excellent customer support. The higher the wattage of your blender, the more power it has to immediately blend up your vegetables and juice to the desired consistency. This means you may be able to blend frozen foods as well as fresh ones. Remember – blenders are loud. If you need to blend early in the morning or late at night and fear that this noise will bother others in your house or connected to your apartment, there are some covers available that can help block noise. This blender has a 48-ounce pitcher and features four blades to prepare your fruit and veggies with. The motor is 400 watts, easily able to handle frozen items, and comes with an interchangeable pod. The base is designed to keep it from slipping on your countertop, and the pitcher has a spout from which to pour. This blender has smaller blades, which is great for smaller fruits and vegetables, but might not works so well for larger items like beets. This little blender comes complete with two different blades (one flat and one emulsifying), a recipe book, three separate cups, and 2 re-sealable lids. It has a 600-watt motor and the ability to blend up hard things like nuts and seeds. The Magic Bullet has one speed and can hold up to three cups in the container. This is another blender that is very easy to clean, and the product description even states that it is relatively effortless to take on the go. 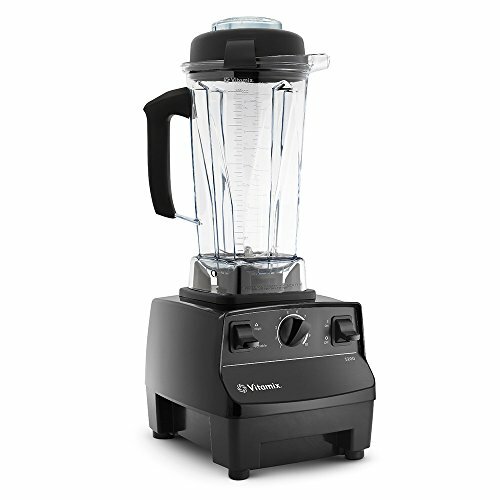 Vitamix is a well known blender brand. The container holds up to 64-ounces and comes with a spill-proof lid. This blender has the longest warranty – 5 years. It has a 2 horsepower motor that grinds up things with ease, and comes with a tamper to use when trying to manipulate thick or frozen creations. The warranty is both long and covers everything from parts, labor, and two-way shipping – eliminating extra costs if you need to replace a part. 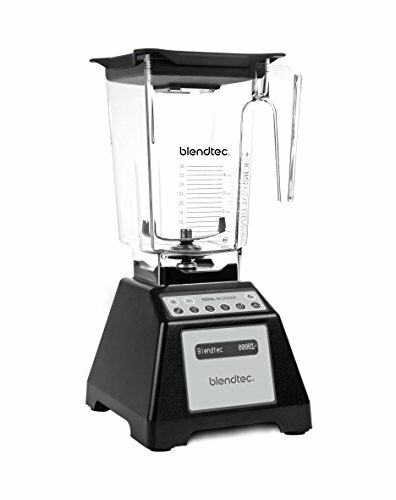 A commercial-quality blender, the Blendtec boasts an impressive 1,560 watt-motor. It also has pre-programmed settings and touchpad controls. The blending container can hold up to 2 quarts and comes with a secure fitting lid. The blade is able to spin at 29,000 rpm and can handle frozen and solid objects easily. It comes with a recipe book with over 200 ideas and ways you can utilize the machine. This small blender is ideal for making anything from smoothies and juice, to baby foods and salad dressings. The blending jar can also double task as a portable traveling cup. It has a simple, one-touch pulse, and a 175-watt motor. All areas that touch food are BPA-free. It’s size allows those with small kitchens or only blending for one to not be overwhelmed with big equipment. 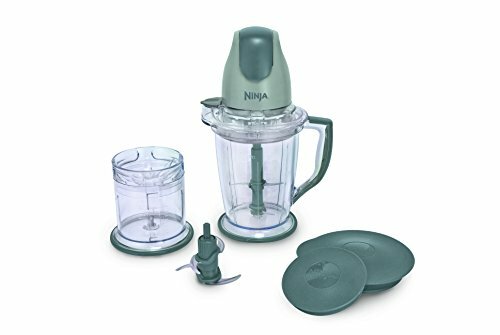 While all of these blenders are high rating products, the safest bet would have to be the Ninja Master. It falls well in the middle of the affordability range and has a motor with enough wattage to handle the tough ingredients on your juicing list. Unlike the higher-priced blenders, e.g. the Blendtec, it is simple in design and function and can taken with you if you need it away from home. 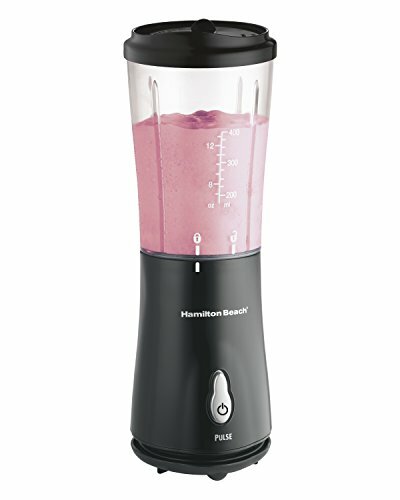 While its durability may not be as high as some of the other blenders on the list, it is certainly higher reviewed in that area than the Hamilton Beach blender. 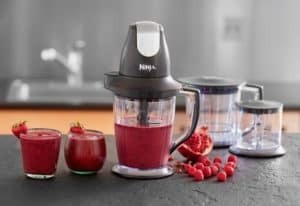 Overall, out of this list of the best blenders for juicing, the Ninja is a quality blender that can last for years if taken care of.